En DAC m.m. som Resonessence Labs selv omtaler på følgende måte: «Even though the INVICTA is a complex, highly reconfigurable product that may please your intellect, remember that this is secondary: it is first a machine to move you emotionally with superb sound«. All PCBs have been revised based on our experience with the production of INVICTA over the past two years. The Headphone output is now generated by the ESS Sabre DAC ES9018 rather than the ES9016 of the first generation. The front panel is modified to show additional high sample rate LEDs. 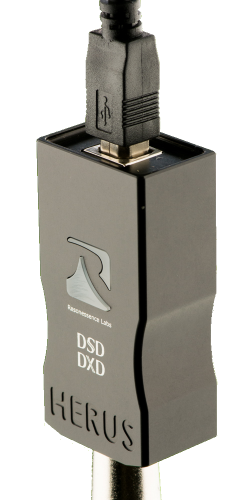 DSD (both 64 and 128) is now supported: you can use USB or the SD Card as the data source for DSD programs. We support DFF and DSF formats on the SD Card. We have doubled the sample rate: you may now provide audio data at up to 384kS/S. The front panel and the cover are redesigned to highlight the DSD capability and reduce the internal temperature. A cosmetic upgrade: the OLED Display is now white rather than the original blue color. Mirus inherits all the improvements of the INVICTA mentioned above. The headphone module is removed and a second ESS Sabre DAC ES9018 is added to the back-panel XLR and RCA outputs. 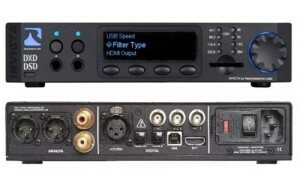 This allows a total of eight ES9018 channels for each stereo output. The THD and noise are thereby improved even further than on the INVICTA. HERUS is designed to operate with MS Windows, MAC OS and Linux. 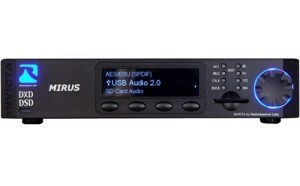 You may download our Thesycon USB Audio 2.0 driver to enable USB Audio 2.0 on Windows. 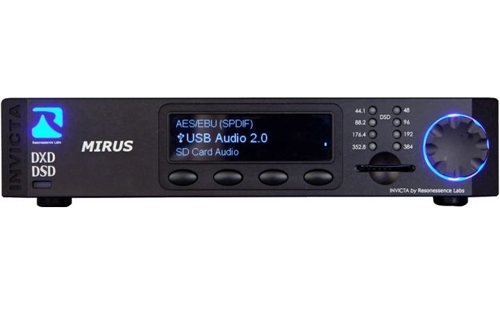 HERUS uses the ESS 9010-2M DAC, our custom code, and our own asynchronous algorithms that run in a generic Cypress USB interface chip. We use Resonessence designed, advanced power line processing circuits that can reliably deliver more voltage range than the USB provided 5V, and we maintain the SNR of the power supply to a degree such that HERUS exhibits well over 100dB of SNR at the headphone output. 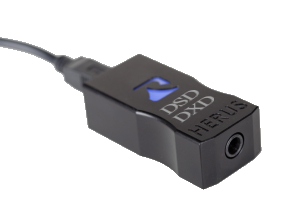 HERUS also has a very low 0.2 Ohms output impedance that prevents external noise sources coupling into the output. 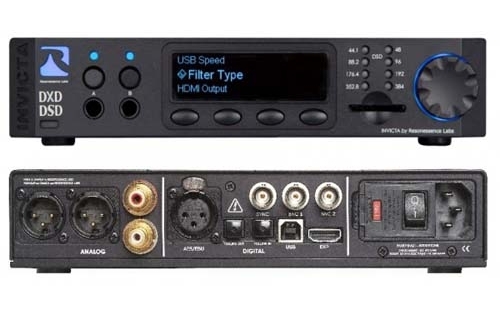 All Resonessence products feature upgradable firmware and hardware and despite its physically small size, HERUS also contains Resonessence upgradable hardware and firmware.